So, accounting for that little technicality, I started my effort to visit all those in Manchester in the Micro Bar in the Manchester Arndale Centre. I HATE the Arndale. Always have. From the days when i roamed its walkways as a school kid, checking bargains in Bostocks Records. The Arndale is a soulless testament to the worst that mammon can throw down. However, tucked away in the corner, butting onto the multi-story car park carousel is the Market Hall. This place is almost the antithesis of its host. Local traders and providers on little market stalls. Fresh food, take-aways and…..The Micro Bar! Run by the guys behind Boggart Brewery, an aley oasis. 5 handpumps. 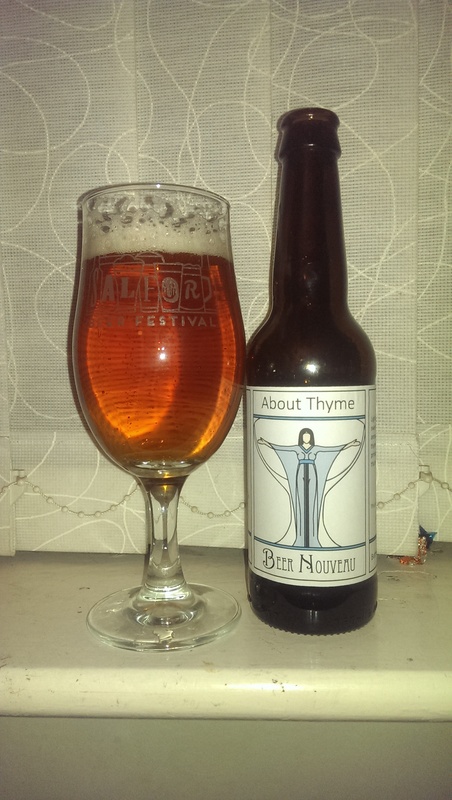 3 Craft/keg fonts and, this week, a mini beer festival (30 ales)! It would have been SO rude not to! A friendly bunch of people at Micro. A brief chat with the nice young lady who (i think) does the tweeting and I got the chance to speak with Mark Dade (aka The Boss!). Top bloke. A chat about the way ‘the business’ of beer works provided me with some insights. The beer? Arbor Ales Triple Hop Series at 4% and their own Boggart Extra Rum Porter at 6.5% (aged for 6 months!). The Arbor is a pale beer from the barrel, nice and hoppy, one for a repeat. But not today eh? Now, the Extra Rum Porter! Smells of Rum & Coke – dangerously so. Lots of roasted malt, quite bitter, like a dry stout more than a porter, i thought. Sweetness from the Rum and some molasses and burnt sugar/caramel comes through. Lovely, but a good job I’m only having the one! A little note about a food vendor adjacent to Micro Bar called Panchos Burritos. Had a superb Chicken Burrito which I ate at the bar in Micro. £5. Excellent, tasty and great value. Also a superb match for the Extra Rum Porter! The Micro Bar fest has ALL the beers priced at 3 quid a pint! Get in tomorrow and take advantage. Excellent beer at excellent value. Now on to The Smithfield and Leg No 2. 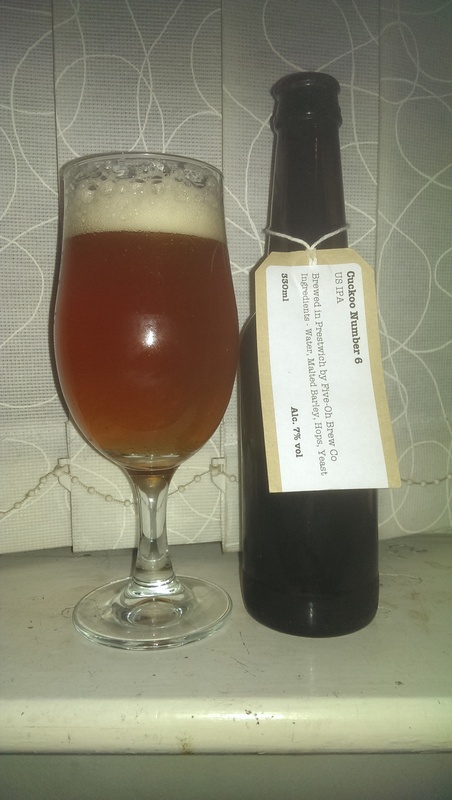 Caveman Brewery Citra at 4.1% and Oates Brewery – OMT at 3.8. The Smithfield is one of those Manchester pubs that just FEELS like a proper local. Quiet today though, which is a shame because they do seem to procure beers that no-one else does. For instance, I’ve never seen/had Caveman beers before. Having said that, I can’t complain. At least I have a seat! The OMT is pale at 3.8% and tastes like a light mild, not much bitterness but some nice gentle malty stuff going on here. That said, some bitterness and dryness in the aftertaste. Hey, I CAN be wrong you know! The beer was slightly warm and may have been first from the pump. Still a nice refreshing beer. The Caveman Citra at 4.1% has all the usual citra hop characteristics, tropical hop aroma, some citrus pineapple and grapefruit flavours, pale beer with sharp dry finish. Can someone please explain to me why this bar is so quiet? The value at 2.60 for two halves is extraordinary! Next up, The Crown & Kettle on the junction of Great Ancoats St and Oldham Road (A62). This is (architecturally) one of Manchesters’ gems. A gorgeous (presumably) listed building, dating from the 1840s with loads of original details (described on house hunt programmes as ‘period features’!). Next beer is Onyx from Sandstone Brewery at 4%. Black with a tan coloured head. a fairly light Stout . Full bodied and a creamy texture, with some bitter chocolate in the aftertaste. First time brewery for me, again. Having checked the ‘Outside’ bar (not set up until 15:00, I decided that now was the time for some serious girding of the loins. Off to The Winter Ales Festival! I had been on Wednesday evening with Jaz. Wednesday / Thursday being probably the best days to go, as they are a little less packed and you can walk around without knocking into people all the time. The beer on Wednesday was little ‘hit & miss’ for me. Some of it was actually quite warm, which is disappointing. Let’s be honest, it isn’t as if this was the first time this festival had been held! Allgates – Double Espresso (4.4% abv) – A black stout with a strong coffee aroma, more subtly coffee in the mouth with a nice dry bitter finish. Bridestones – Vanilla Porter (4.8% abv) – Black with lots of sweet vanilla aroma. Full bodied with some vanilla sweetness balanced by a dry finish. Cheshire Brewhouse – Engine Vein (4.2% abv) – A really nicely balanced hoppy bitter with a gentle smokiness in the aftertaste. 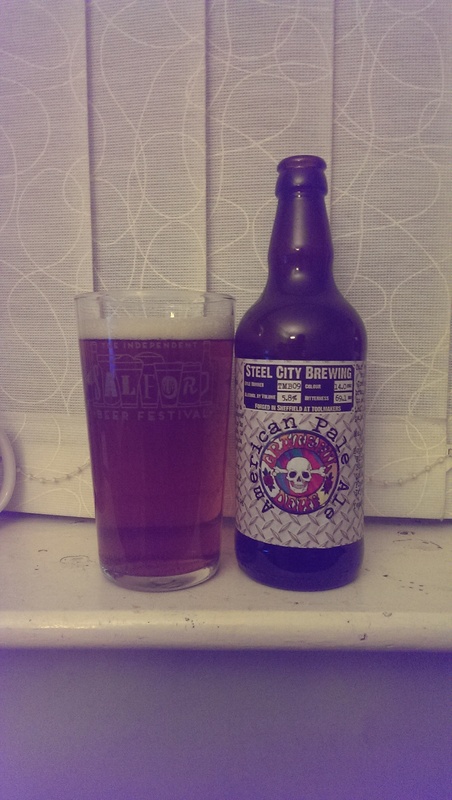 Not to forget my nightcap of choice at Port Street later – Hawkshead NZPA – 6% of massive hops. Mmmmm….. I got there at about 3:15 and the place wasn’t TOO full. Up the escalator and into the main hall, the majority of the ales were arranged around the perimeter, in roughly alphabetical order. The major exception to this was “The Champions Bar” where the beers in the Champion Winter Ale competition were hosted, set apart from the rest. Maybe I’m just a touch, err, thick, but this layout / format confuses me. There’s simply TOO MUCH going on. It takes a while to spot the beer that you want to try and by the time you find it, it’s gone! I don’t know what the answer is. Or even if I’m alone in this. I find the format tired. 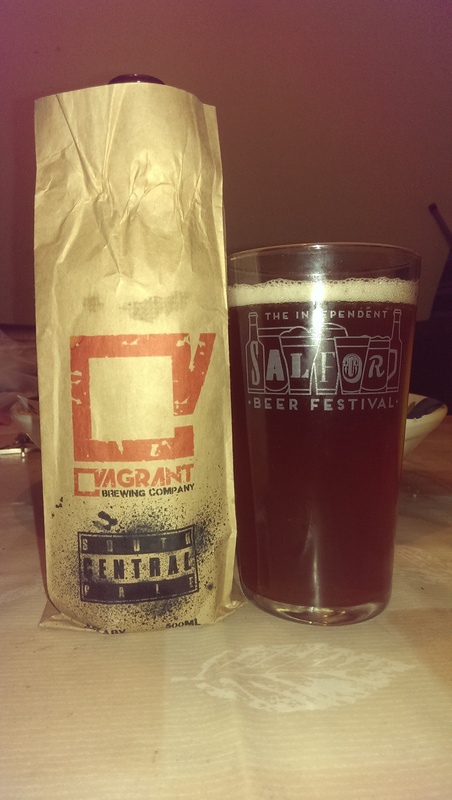 The Leeds International and The IndyManBeerCon were just SO much more logical and housed in gorgeous surroundings….I’m getting opinionated and boring (I know) so…moving swiftly on…. The beers were priced generally aligned to the alcoholic strength, from £1.30 a half to over £2 for some of the more stupidly intoxicating offerings…..Baz’s Bonce Blower….Oh please no……Can’t we get rid of the most stupid names? The staff are mostly CAMRA volunteers and to be fair, were a really friendly helpful bunch. Firstly I had Liverpool Stout by Liverpool Organic – (4.3% abv) – This was a black stout which (I thought) was slightly sweet, like a less lactic Milk Stout. I expected something more dry and assertive, but pleasant enough. 2. 13 Guns by Daniel Thwaites – (5.5% abv) – I may need to reassess Thwaites. 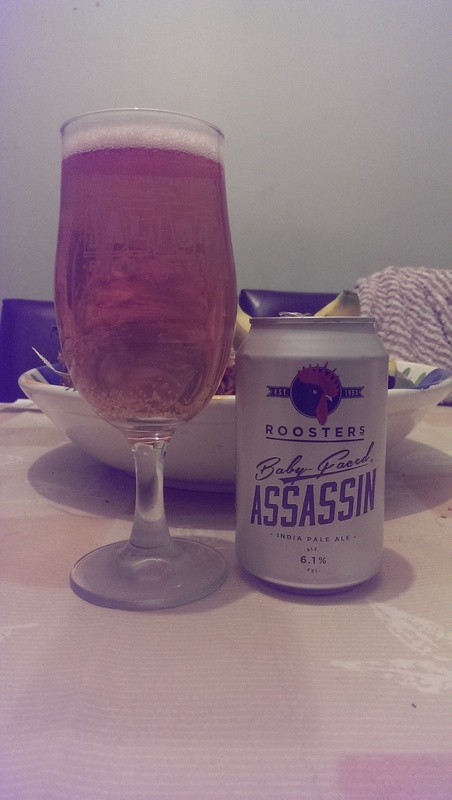 This was a cracking IPA. A bit of a hop monster aroma, but more gently hoppy in the mouth, certainly more smooth and rounded than the aroma indicated, a surprising beer and one of the weeks best for me. 3. 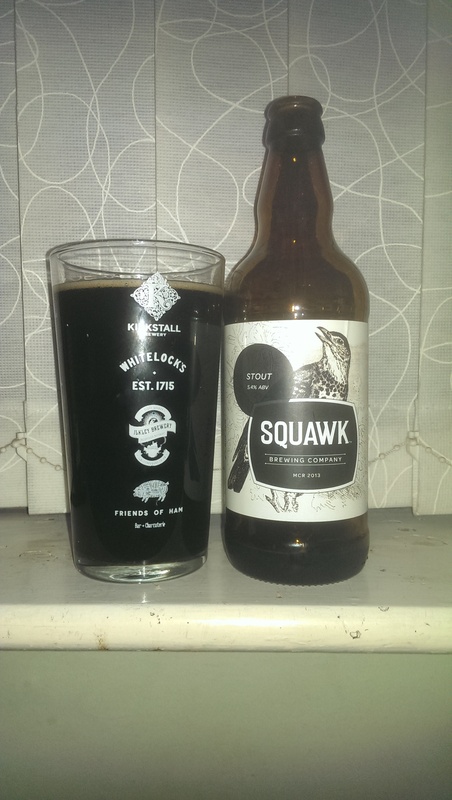 Dry Stone Stout by Hawkshead – (4.5% abv) – Not as assertively roasted as I hoped. A smooth gentle roasted flavour, slight chocolate with a subtly smoked aftertaste. 4. 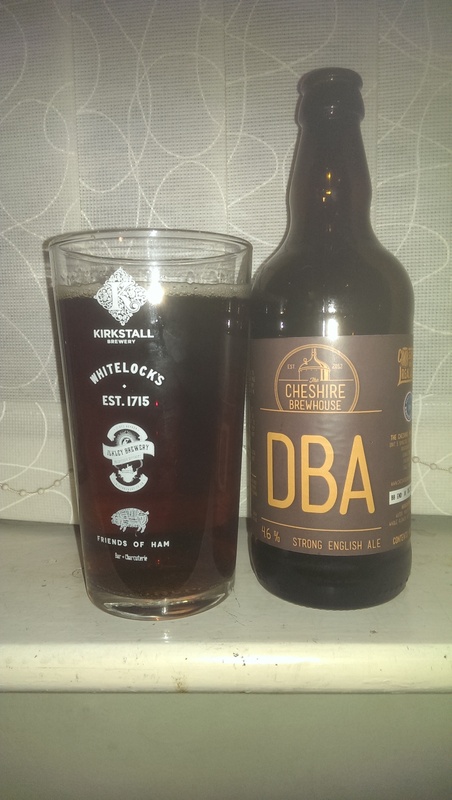 Siberia by Ilkley / Melissa Cole (Collaboration) – (5.9% abv) – If you’ve read this blog before – and my eulogising of this great beer – I had this simply because I could, OK! 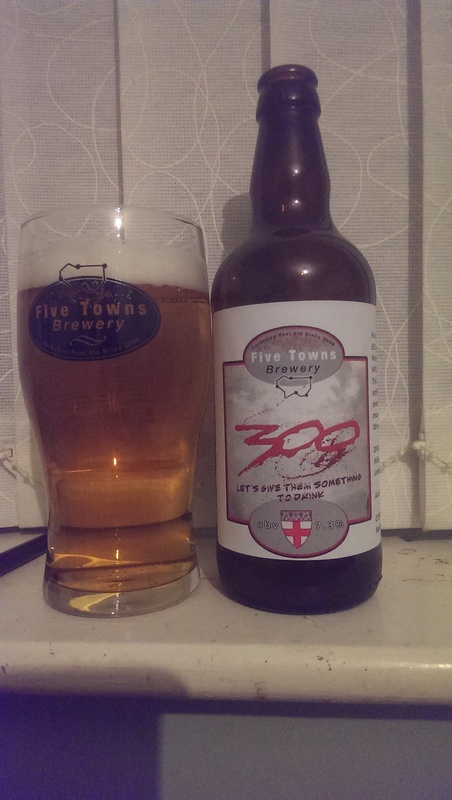 Hazy, wheaty, slight sourness with some lovely rhubarb taste. A stunning beer. Anybody who says different……I’ll see you in the car park! OK! 6. (And finally) – Fireside Porter by Ilkley – (4.2% abv) – Another beer with plenty of body / texture for the light strength. 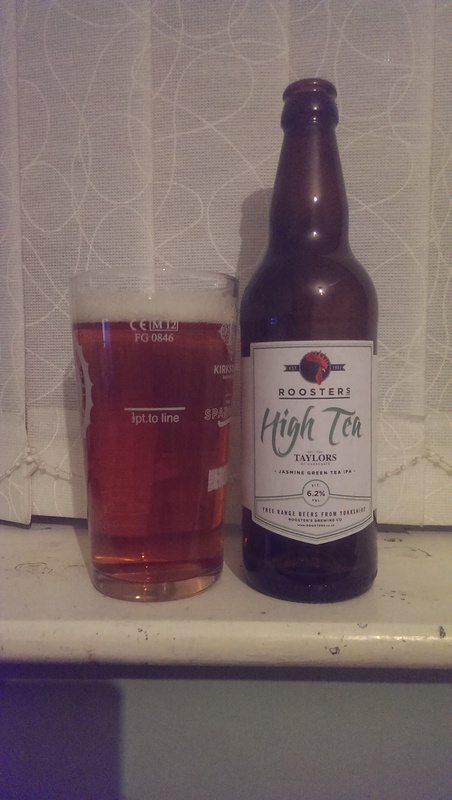 Lovely roasted flavours and another with a gentle smokiness lasting into the dry finish. Beer of the week. A close one. For the Darks – Allgates Espresso probably just shades it. For the Pales – Prospect Venus Ella, which surprised me. Jaz and I (of course he was there!) left (into a blizzard!) and popped into a few pubs on the return journey. Checked out the bar at the back of the Crown and Kettle and had a (cold) Detention by Old School Brewery (OSB) – a nice amber coloured bitter, just too cold! Then, The Castle. We went upstairs to drink our Roosters Humble Pie – a pale slightly hoppy beer -What a great job they’ve done in opening up the upstairs. A really nicely decorated room which more than makes up for the space lost to the “performance” room. Finally, onto Soup Kitchen. 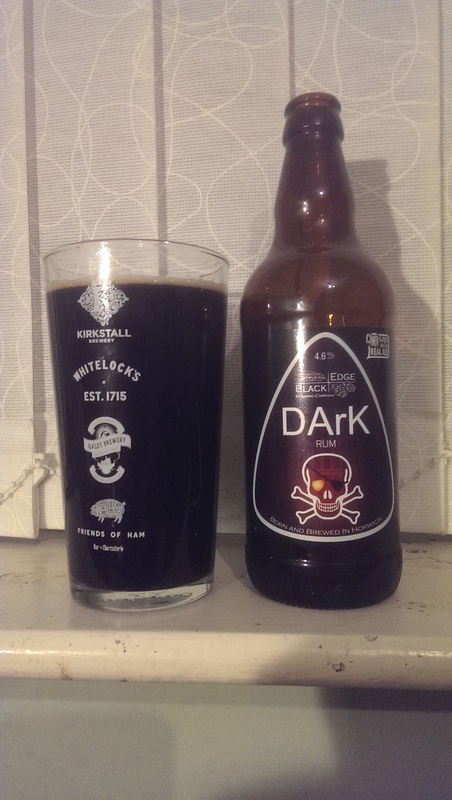 Only one beer on, but Privateer Brewery – Dark Revenge. This was as good as I remembered it. 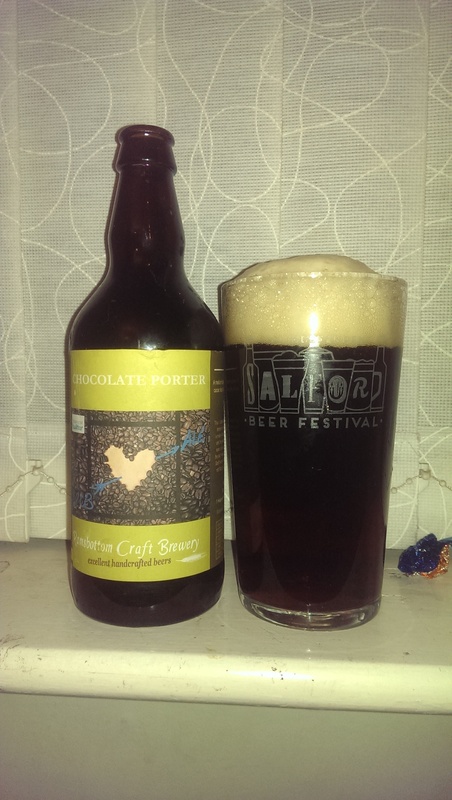 A strong mild at 4.5%, the lovely chocolaty dark malt flavours revived my (by now) jaded palate! Nicely busy, with Some excellent tunage being spun (on vinyl) by the DJ! At this point, I waved the white flag and set off home. 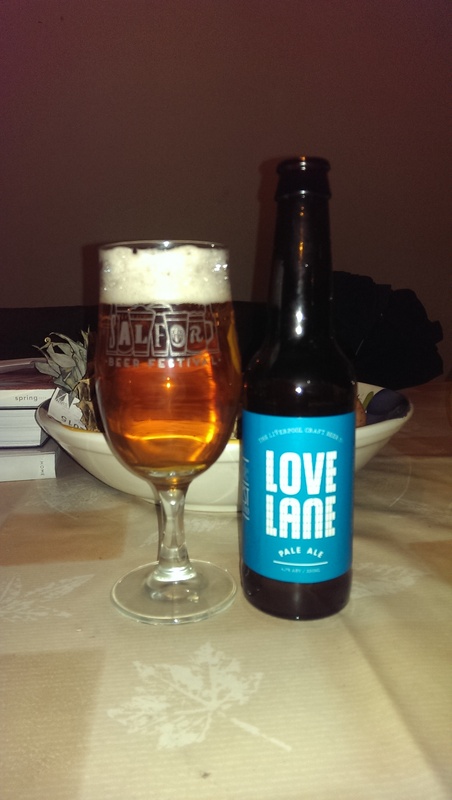 However, I grabbed the opportunity for a swift half of Salford Arms Ale by Black Jack in the……..(where was I again? )….ah, yes, The Salford Arms. Nice and hoppy. There was a band setting up at the far end. However, it was a swift half, unfortunately. Raising the White Flag again, I jumped the 37 bus to home. Do you ever have those semi-drunken conversations on a bus? (So it’s not just me then!) Tonight, I was talking to a bloke. Nice beer related conversation. The bloke was formerly from Swinton, but more latterly had migrated to Saffron Walden in Essex.It turned out that he was the Brewery Liaison Officer for North West Essex CAMRA! I’ll be e-mailing Richard the blog address – of course! On that note (and reaching for the tub of Andrews’)….Til next time!